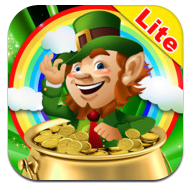 Leapin' Leprechaun Lite — Mobers.ORG — Your Daily Source For Mobile FUN! 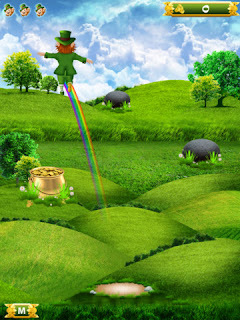 "once you catch a leprechaun he has to give you his gold"
gold hidden. How much of his gold can you get? you what he thinks about how you are playing the game!" 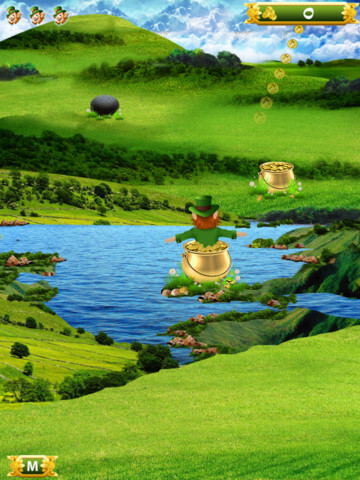 The app is polished and superior to any other game that has anything to do with Leprechauns.The idea was created for the game when two brothers came to ireland to get a tour of the Blarney castle and kiss the stone, and ended up at my house, and they came up with the idea for the game while playing with my kids.They put up the money to create the game but my kids and I put it together. My son is the voice of the Leprechaun.Here's a 12 Year Old irish Boy, His Goal is To Be On the Ellen Show. Ben is a 12 year typical Irish lad. He has red hair and freckles and a great sense of humor. He loves doing voices and having the craic. he plays rugby , is a big game and movie fanatic.Craic is the word used for fun in Ireland have the craic pronounced crack.We don’t want to be just another passing on day craze. We are planning to be around for a long while. To let gamers know we’re serious about this, we will be continuously listening to their feedback and reviews.